is a visiting fellow at the University of Toronto. He writes on the history of the United States, human rights, and religion and politics. To understand Catholic overrepresentation on the US Supreme Court, and how Catholics in some sense became the brains of American conservatism, we must look to the history of Catholic education in the US. Successive waves of Irish, German, Polish and Mexican migrants to the US made up most of the Catholic Church in the US. They faced persistent harassment from the country’s Protestant majority. In 1834, when a Protestant mob burned down an Ursuline convent near Boston, it was only an extreme example of popular American prejudice against Catholics. Long a Europe-oriented institution, the Catholic Church had a tense relationship with liberalism, church-state separation and democracy. Often in the 19th century, the Vatican felt itself under siege by republicanism in France, where the state had seized Catholic lands and property, and in Italy, where nationalists had unified the country at the expense of the temporal power of the Papal States. This was the context, during the First Vatican Council of 1869-70, in which the Vatican proclaimed the Pope infallible, a rarely invoked doctrine but one that symbolised the incompatibility of conservative Catholicism with republicanism and secularism. The Vatican published an ‘index of forbidden books’ from the 1600s until 1948 (officially ending only in 1966, following the Second Vatican Council) that banned the laity from reading Baruch Spinoza, Thomas Hobbes, David Hume, John Locke, Martin Luther, Victor Hugo, Alexandre Dumas and Niccolò Machiavelli. Later, 20th-century authors including Jean-Paul Sartre and Simone de Beauvoir were added. Of course, many American Catholics regularly ignored these prohibitions. And some American clergy believed that Catholicism should adapt to the values of its new homeland. But the Catholic hierarchy and especially the Vatican remained opponents of liberalism. In his encyclical Testem Benevolentiae Nostrae (1899), Pope Leo XIII even condemned ‘Americanism’, warning that it was wrong to desire ‘the Church in America to be different from what it is in the rest of the world’. Fear of republicanism and secularism partly drove American Catholics to set up separate institutions for themselves – separate social clubs, separate unions and separate charities. Most influentially, they set up a parochial school system that educated Catholic children separately. Some of these schools came to be known for high-quality education. The elite Georgetown Preparatory High School in Maryland educated the Supreme Court justice Neil Gorsuch, the newly appointed Supreme Court justice Brett Kavanaugh, and the Federal Reserve chairman Jerome Powell. Catholic orders likewise set up their own universities across the country. Georgetown University had been founded in 1789, Notre Dame in 1842, and Boston College in 1863. The founding of their law schools, in 1870, 1869 and 1929 respectively, assured that conservative ideas would find a home at these institutions. At first, Catholic universities were better-known for their football teams than their academics. That changed after the Second World War when they became important centres of US intellectual life. American Catholics benefited from a more tolerant attitude toward religious minorities amid the postwar celebration of ‘Judeo-Christianity’. Ideas that Pope Leo XIII had denounced as ‘Americanism’ are now broadly accepted at these universities. Catholic intellectual life in the US is not solely conservative, and Catholic conservatism sometimes cuts across the Left-Right divide in the US (on immigration and the death penalty, for example). But it remains the case that Catholic intellectuals are overrepresented in the US conservative movement. 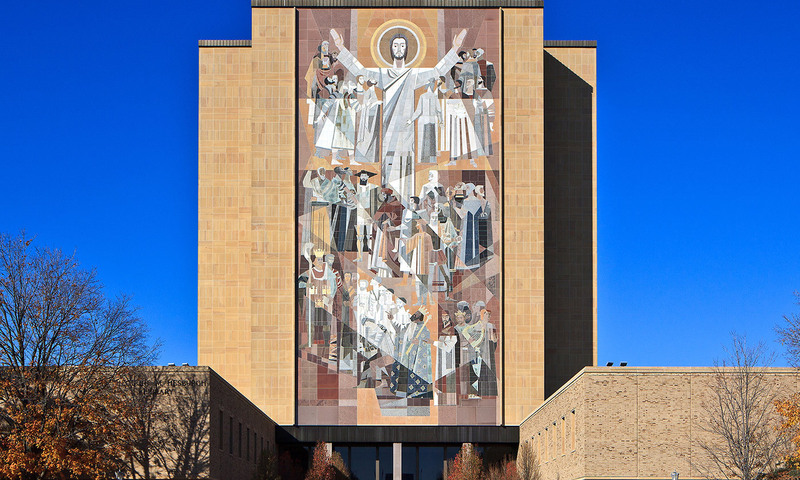 By virtue of their 19th-century separationist anxieties and their investment in institutions of higher learning, Catholics have become the brains of the religious Right in the US.